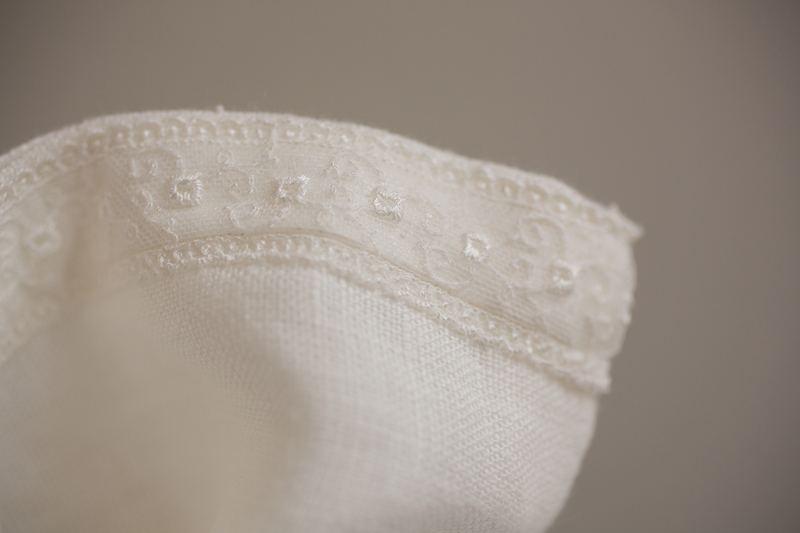 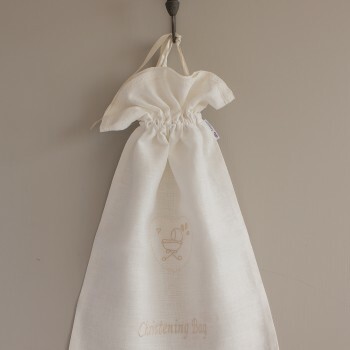 This is a very Special Heirloom Gift made in Ivory 100% Linen. 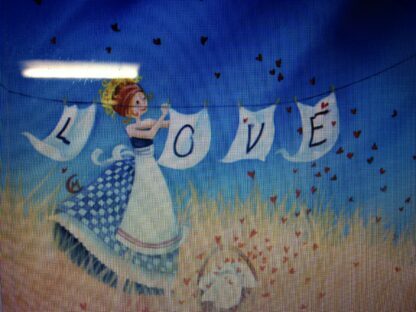 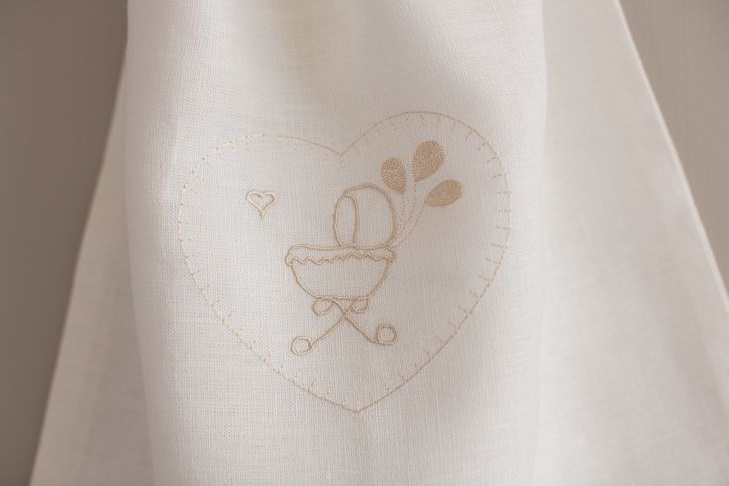 Embroidered with a little pram with balloons and a tiny heart and enclosed in a large heart. 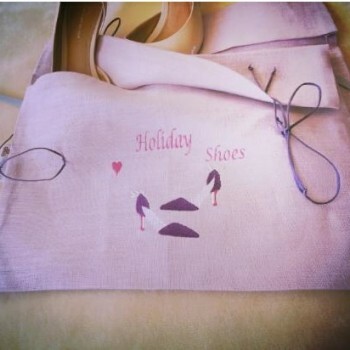 On the back is a pair of tiny booties with with three small hearts. This lovely Christening Bag is the perfect place to protect that beautiful Christening Robe, Shawl and all the other treasures from that memorable day. 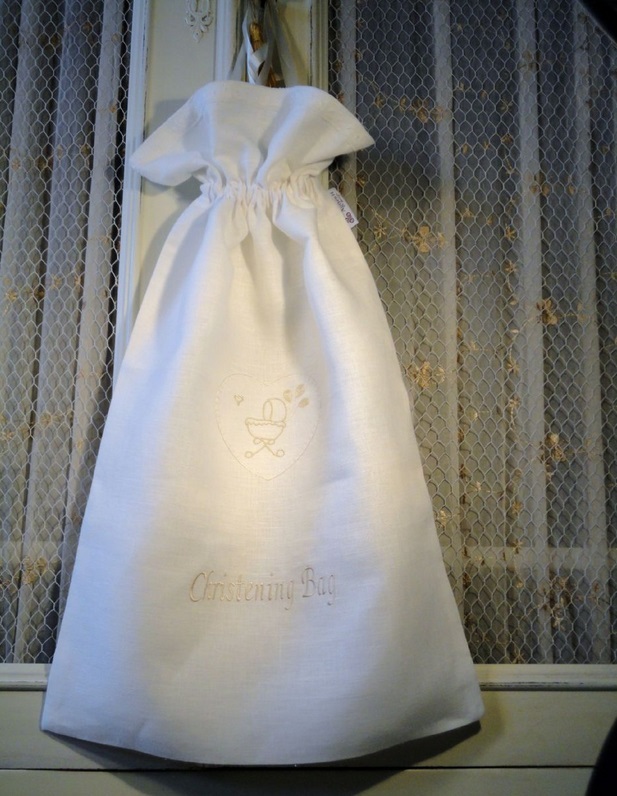 To keep them safe and ready for the next time you need them or for the next generation. 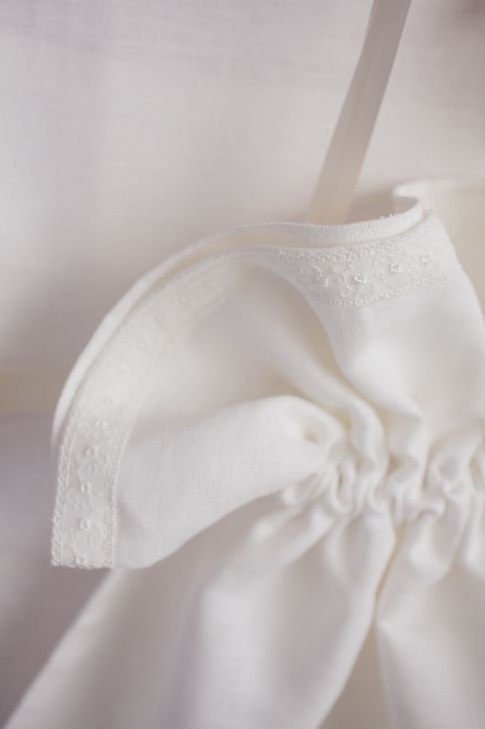 Embroidered in subtle shades, trimmed with embroidered tulle and tied with satin ribbon it is timeless. 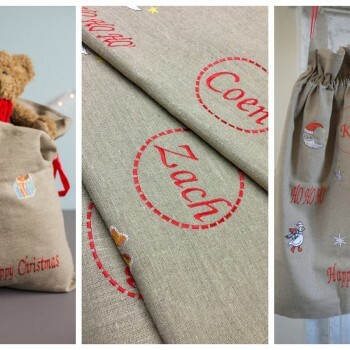 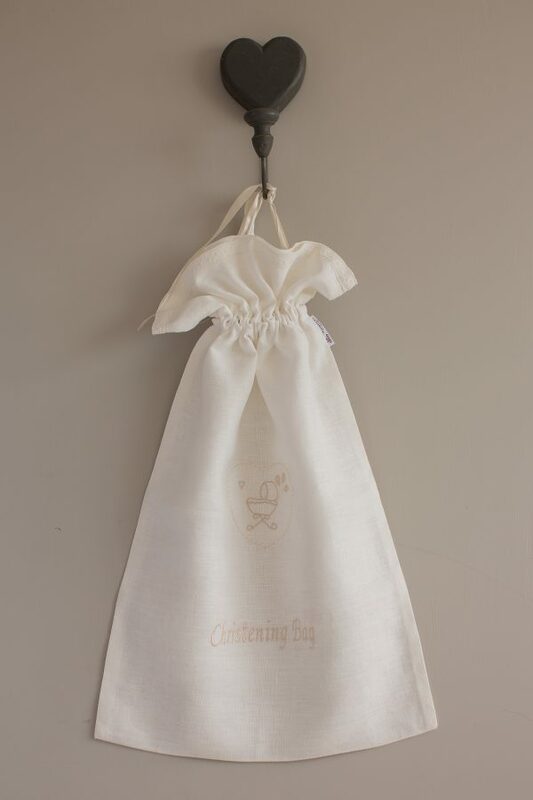 A new idea for an old tradition The Christening Bag is very beautiful and elegant and would make a gorgeous gift for anyone with a precious new baby. 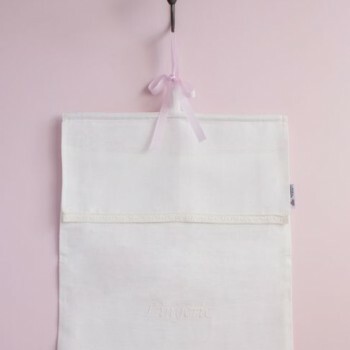 Wash at 40 degrees (104F) or less.